I had the Prince of Royale steakburger which is a crisp, fried hamburger topped with a fried egg and applewood smoked bacon. I really like fried hamburgers and this one was excellent. 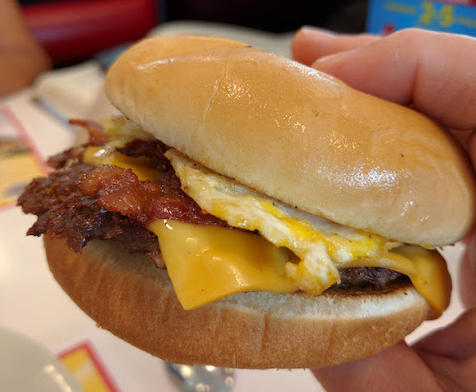 Adding the egg and bacon made for the perfect breakfast burger. 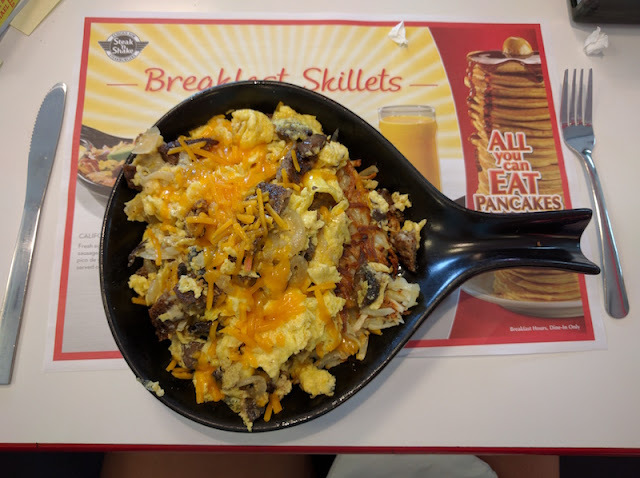 My daughter had a breakfast skillet with portobello mushrooms, sausage, onions, and cheese. It was also really tasty and very filling, too. Well, this is Steak 'N Shake so we had to split one of their milkshakes. 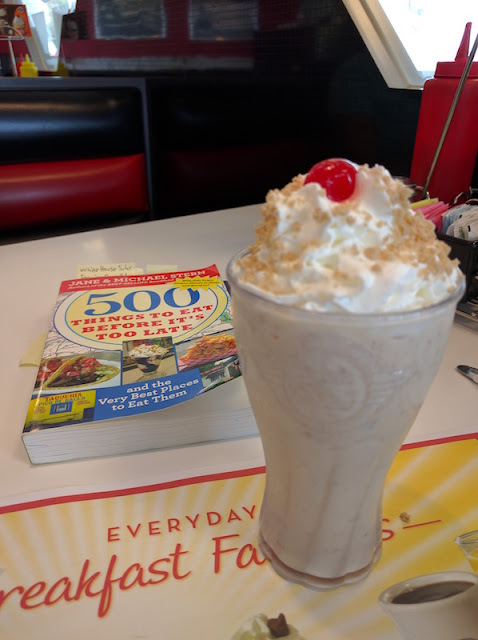 There's quite a list, and it was hard to choose one, but we finally settled on the cookie butter shake. Creamy, rich, and delicious! The seasoning went really well on the fries. 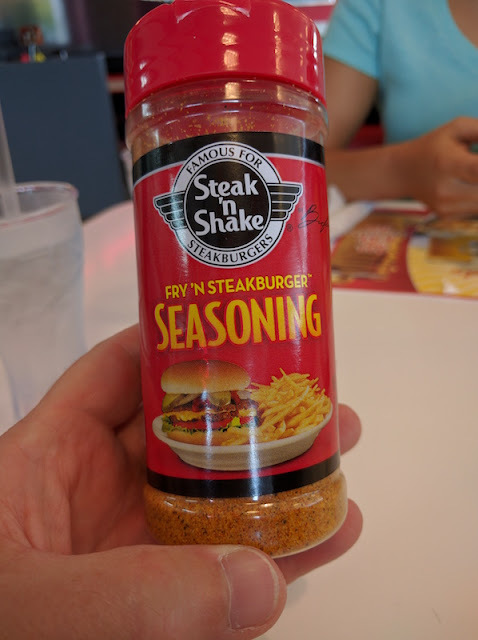 The friendly service from our waitress made this a memorable first visit to Steak 'N Shake, and we'll sure to return the next time we're in the Midwest. 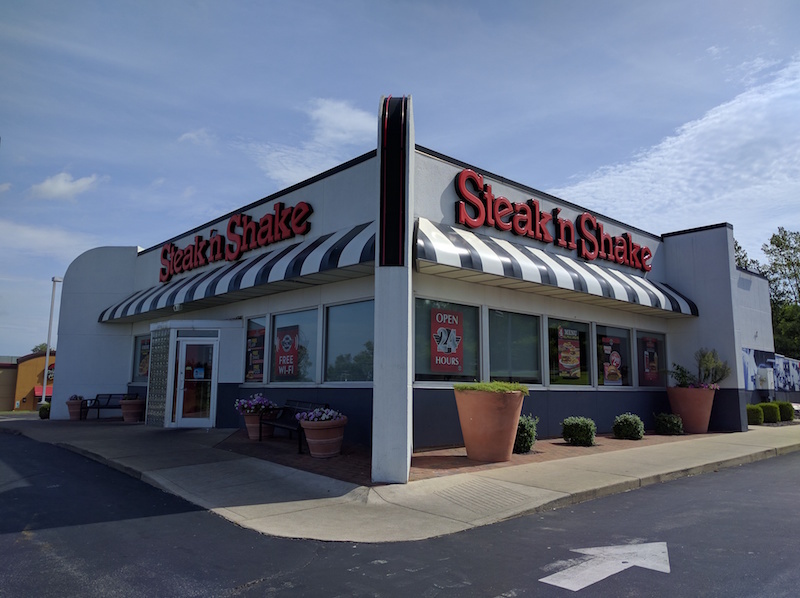 We ate the location just on the other side of the Mississippi River from downtown St. Louis, but you can find a Steak 'n Shake location near you at the Steak 'N Shake web site.